The Metamorphosis Theme is primarily isolation because the main character Gregor’s transformation into a giant insect immediately isolates him from his family. This is a topic suggestion on The Metamorphosis Theme from Paper Masters. Use this topic or order a custom research paper, written exactly how you need it to be. 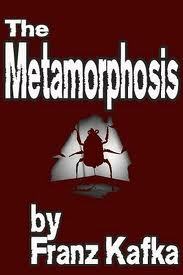 Isolation is the primary theme of Franz Kafka‘s The Metamorphosis. In the story of The Metamorphosis, Gregor’s transformation into a giant insect immediately isolates him from his family. His horrific appearance frightens his sister and mother. His father beats Gregor, crippling him with an apple. The change also isolates Gregor from the rest of society. As a giant insect, Gregor cannot speak although he can understand the speech of others. This leads to him overhearing conversations where people say cruel things about him. Gregor loses his job because no one would want to buy something from a giant insect. The bodily changes also negatively impact Gregor’s mobility, leading him to spend much of his time in his room, hiding from the rest of the world. However, the story demonstrates that Gregor was already isolated from his family before the transformation. For example, after turning into a bug, he overhears his parents talking about the money they had secretly saved while Gregor was working. This secrecy suggests that Gregor’s parents might not have really loved him. Instead, they were using their human son as a source of income. This initial isolation is only emphasized after the transformation. With Gregor unable to earn a living, he becomes a burden to his family. This leads them to conclude that he should leave or die. Even Grete, the sister Gregor has loved and planned to send to school, rejects him at the end of the story. Gregor’s death is the end result of his isolation because he loses the will to live. Paper Masters writes custom research papers on The Metamorphosis Theme and discuss the them of isolation in The Metamorphosis.